If someone repeatedly insults or criticizes me, what should I do? I tell you, if someone insults you, criticizes you, let them be! How much harm can they do? Let them go ahead and insult as much as they can. Next time, tell them, “My dear, go ahead and insult me as much as you want. I will not change regardless of how much you want to criticize me”. Face it with courage. Be strong, do not run away from it. Stand tall before them and let them insult you as much as they can. See, you should respond to an insult with a smile. A person of true patience and courage is one who can respond to any insult or criticism with an unshakeable smile. A real saint is one who responds to a gunfight with bouquets of flowers. The sign of an intelligent person is one who can respond to taunts and criticism with humour and wit. If you also get angry with someone who comments on you or taunts you, then that is not intelligent behaviour on your part. The sign of intelligence is to transform an unpleasant situation into a pleasant one. That is what the intelligent ones do. One who searches for pleasantness even in unpleasant or unfavourable situations is truly an intelligent person. Gurudev, is there a difference between the Vedic Tradition and Science? See, our ancestors gave a lot of prime importance to the intellect. Our most important mantra is the Gayatri Mantra which is unparalleled. In the Gayatri Mantra it is said b> “Dhiyo yonaha prachodayaat”, which means, “May our intellect be illumined and inspired by the Divine”. It does not pray for just one person’s intellect, the mantra prays for everyone’s minds and intellect to be illumined and inspired by the Divine light. So, by the Gayatri Mantra, we pray that all our minds together are nurtured by the Divine, and may all our intellects blossom. This is the prayer we make through the Gayatri Mantra. Science also gives importance to the intellect, to logic and rationality. Anything that does not agree with the intellect, or is not aligned with intelligence - cannot be called as Science. When you see things from this perspective, then you realize that both Science and Spirituality work along the same lines. Spirituality just goes one step further than Science and asserts that not only must we inquire “What is this?”, but also go deeper and inquire “Who am I?” This inquiry too is within the scope and boundaries of Science. Here it is not only the scenery that is important; rather the observer or the Seer is also equally important. The Seer too has a very prominent role here, and Spirituality, or Vedic tradition makes this aspect (of the Seer) more evident and clear. 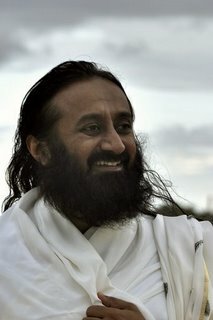 Gurudev, when will I come to know Who am I? I tell you, first you think about who you are NOT. For the time being, drop the question, 'Who am I'? 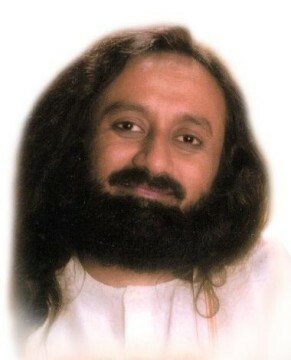 If you come and tell me, “Gurudev, I know who I really am”, then that would mean you still do not know. And if you say, “I still do not know who I am”, then that too is not entirely true. I would say, first you try to understand who you are NOT. Go on asking yourself, 'Who am I not'? When you find that everything that you are NOT disappears and drops off, then a deep silence shall dawn within you. Then you will realize that it is only YOU that really IS, and there is nothing else except YOU. 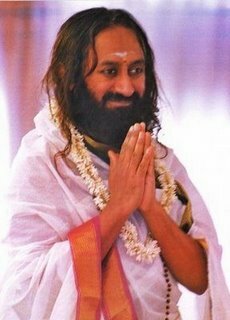 Gurudev, we can be happy when the people and the situations around us are pleasant. But how can we maintain our happiness when they become unpleasant? Just look back at your life and see – how many times has this happened with you in the past. How many times have you been troubled and distressed by a person, an object, or a situation? And despite that you are still whole right now, total and complete. Isn’t it? The people who troubled you have moved on and may have even passed away; the situations that troubled you are over and no longer there. Yet life goes on. Examine your life closely. Look back in time and reflect on this, then you will find a great inner strength arises in you. You will realize that it is all Maya (illusion). That is why it is said that this entire world is Maya. Why so? It is because this world appears to be frightening, but it is not really so. It is like how when you were young, your mother would just scare you to make you eat your food, otherwise some villain would come after you! It never used to happen but at least you used to eat your food then. So even from this false scare, something good happens. In this way, every situation in the world is like aGabbar Singh(a popular villain from Indian cinema). Do you know what that Gabbar Singh is for? (Here representing a difficult or fearful situation) It is to bring out the skilfulness in you, to enhance the good qualities in you. Just understand this. If you do not understand this true fact and keep getting stuck in situations, then of course you will remain miserable. Once you realize this then you will not be troubled by any situation in life. See, there is some Karma that you will simply have to endure and undergo. And to be free of some other Karma you can always pray to the Divine. Both Self-effort and Prayer should go hand in hand in life. If either one is missing, then too you become miserable. They are like the two wheels of a bicycle – you cannot move through life if either one is not there. If you only keep praying without making any actual efforts, then you will not get any results. And if you only keep making efforts and struggle, without spending time in prayer, then also it will not help. When you do both effort and prayer, then you will be able to skilfully and happily sail through life. Your path will become easier. If we are truly Space, or a part of Space, then why is it that we feel comfortable in some space and uncomfortable in some other space? It is because of ignorance. Or it is because of your body type and vibrations. You may have limited vibrations, or you may not be so centered that you feel comfortable and at ease with all kinds of people. You have limited range of vibrations and not the total range of vibrations. If you are strongly centered then you are comfortable with the entire 360 degree range of vibrations, because just like in a circle, every point becomes equidistant from the centre. But if you are on some chord of this circle, then you are not equidistant from everything. So you are not comfortable with every vibration. Gurudev, how to keep the Prana (subtle life-force energy) level high even after the Vignana Bhairava Advanced Course? The key is Seva. I would suggest you keep doing some Seva, and stay engaged in knowledge. Tell others about this beautiful knowledge and inspire others about attending Satsang and doing Seva. All this will help to keep the energy levels high. And suppose, even if your energy goes a little low, do not be upset about it. Just know that it will come back again. Where does Intuition come from, and what is the source of Intuition? Well, I will tell you this intuitively! (Laughter) See, intuition definitely cannot come from the books. Intuition = In + tuition; it means that ‘tuition’ (knowledge) that comes from the inside.